The Voyager 1 spacecraft, launched in 1977 and still speeding through space today contains the most famous time capsule in human history. And now you can own one of its most interesting items, the Golden Record, a 90-minute recording of music from around the world, including Johnny B. Goode by Chuck Berry as well as Mozart, Bach, Beethoven, & more. 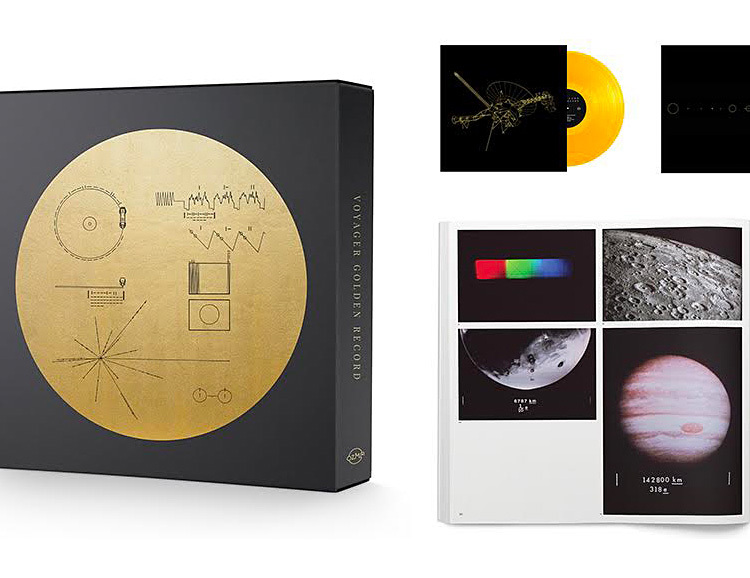 Available in both LP and CD, it includes a 96-page softcover book loaded with info and images on the iconic Voyager missions. Created for fans of both vinyl and classic horror, the Box Of Souls is an 8 LP box set featuring the soundtracks to seven of the A Nightmare On Elm Street films. The set features original music by Charles Bernstein, Christopher Young, Angelo Badalamenti, Craig Safan, Jay Ferguson & J. Peter Robinson plus an extensive amount of art and packaging, all created & designed by Mike Saputo. The albums are pressed on 180 Gram black vinyl and each features extensive liner notes from the artists.